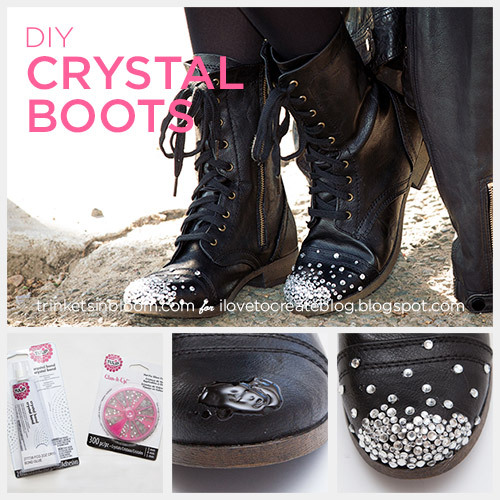 Mix up rugged combat or motorcycle boots with the sparkle of crystals to make these cute and on trend DIY Crystal Boots. The best part about these is that while you’ll look super cool wearing them you’ll be totally comfortable. It’s a win win! 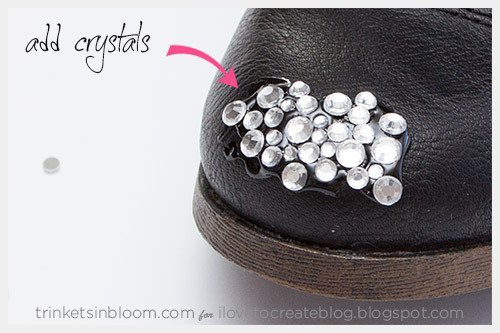 The Tulip Crystal Bond works really fast and holds well, so you can wear them right away! 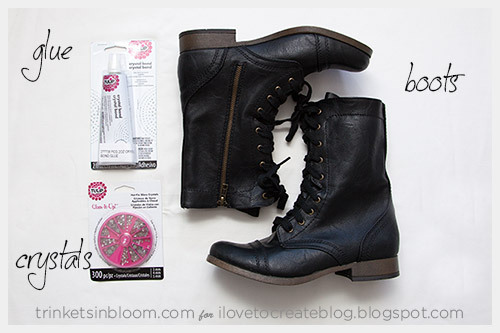 Apply the crystal bond right on to the toes of your boots. Use the end of the tube or a toothpick to spread it around if necessary. I started with the largest crystals and then filled in with the smaller ones. 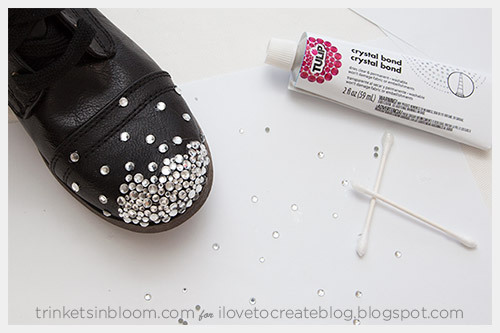 You’ll want to work quickly as the crystal bond dries very quickly. 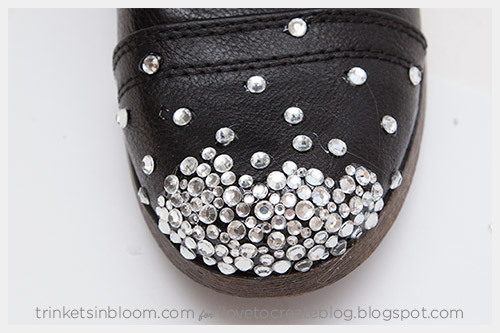 You can use a toothpick to add smaller dots of glue for the areas where the crystals are more spaced out. 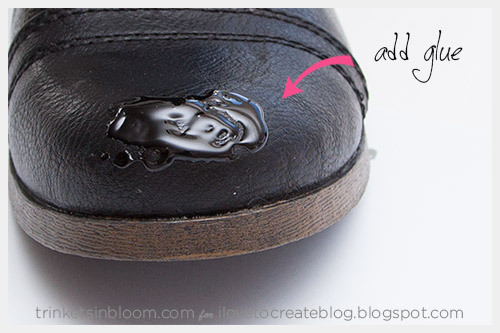 Let your glue dry completely before wearing. 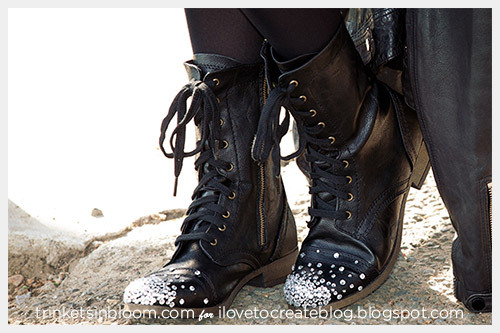 Go out and rock your boots! 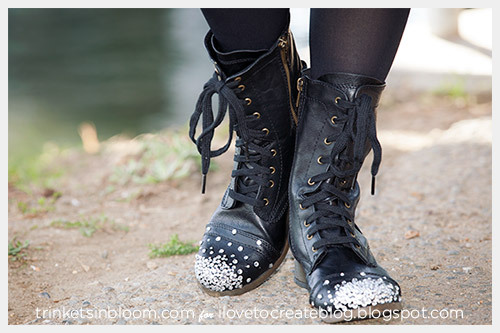 Get inspired to “Create Your Own Style” by visiting my blog Trinkets in Bloom for more fashion DIY’s. Motorcycle boots are used much frequently these days. Motorcycle is an invention of man that is used like any other need.